We are happy to welcome you in our hotel. Thank you for choosing Mercure Krakow Old Town. We look forward to see You in Krakow. Tomasz Schweda, operating director of the hotel. We are located between Krakowskie Centrum Komunikacji (Krakow Communication Center) and the old town, which is only a 10-minute walk from our hotel. Our building boasts a unique facade and interiors. Stylish rooms and a modern conference center are our response to the needs of a rapidly changing Krakow. The Winestone Restaurant is a unique place where you can savor delicious meals, meet with friends or simply relax after a busy day. We are truly passionate about our guests. The hotel has 5 meeting rooms covering an area of 3230 sq. ft. (300 m²) and a 248-sq. ft. (23-m²) boardroom. 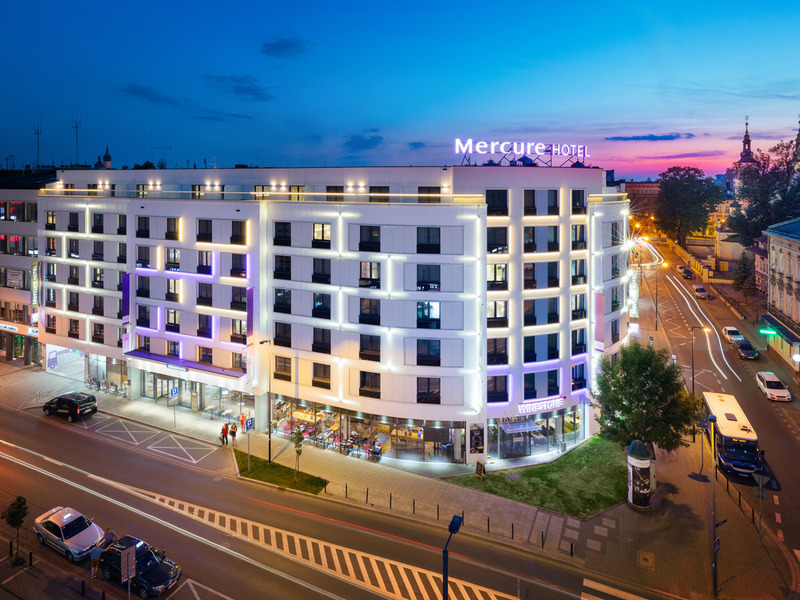 Thanks to its interesting design and excellent location, the Mercure Krakow Stare Miasto hotel is the perfect choice for a work meeting. Standard room with two seperated beds. Privilege room with large bed, extra sofa. Privilege room with large bed, extra sofa and terrace. The hotel's restaurant Winestone offers delicious international dishes served on famous Les Planches stone pads. Relax and enjoy your stay over a glass of exquisite wine from our carefully selected collection.